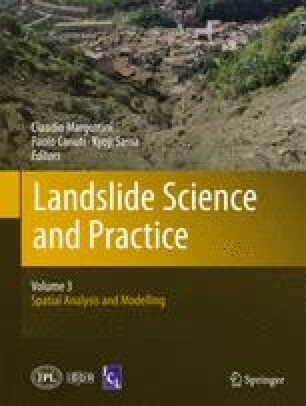 The main goals of landslide run-out modeling should be the assessment of future landslide activity with a range of potential scenarios, and the information of the local populations about the hazards in order to enable informed response measures. In recent times, numerical dynamic run-out models have been developed which can assess the velocity and extent of motion of rapid landslides such as debris flows and avalanches, flow slides and rock avalanches. These models are physically-based and solved numerically, simulating the movement of the flow using constitutive laws of fluid mechanics in one or two dimensions. Resistance parameters and release volumes are crucial for a realistic simulation of the landslide behavior, whereas it is generally difficult to measure them directly in the field. Uncertainties in the parameterization of these models yield many uncertainties concerning their frequency values, which must be addressed in a proper risk assessment. Based on the probability density functions of release volumes and friction coefficients of a given landslide model, this work aims to systematically quantify the uncertainties in the run-out modeling. The obtained distributions can be used as an input for a probabilistic methodology where the uncertainties in the release volume and friction coefficients (rheological parameters) inside the dynamic models can be addressed. This will improve the confidence of the dynamic run-out model outputs such as the distribution of deposits in the run-out area, velocities and impact pressures, important components for a risk analysis and regulatory zoning.